Apple has rarely released sales figures on particular models of products they offer, but I have to imagine they shipped at least hundreds of thousands of its two Apple LED Cinema Displays (24-inch and 27-inch) based on the number of people who want to connect them via USB-C to a 12-inch MacBook or a 2016 MacBook Pro. I purchased several adapters and cables that can take the LED Cinema Display's Mini-DisplayPort (not Thunderbolt) and convert it into something that passes over USB-C in a compatible chain that allows you to connect to the USB-C equipped MacBook and 2016 MacBook Pro. My testing shows three affordable and viable options, plus a reasonable option for a full-featured USB-C dock that requires just a simple adapter. 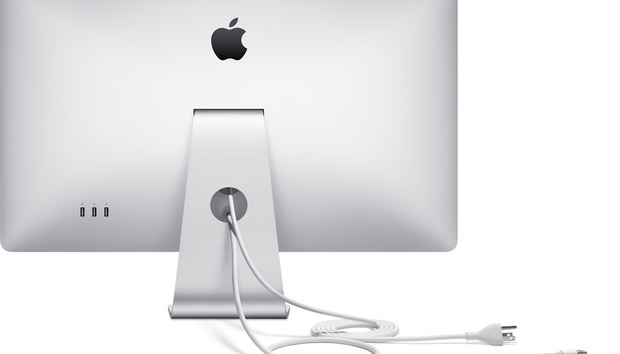 With a 2016 MacBook Pro, you can connect an Apple Thunderbolt Display with Apple’s Thunderbolt 2 to Thunderbolt 3 adapter, and you’re all set. But Apple doesn’t make an adapter that works with Mini-DisplayPort, and it took a few weeks between the new MacBook Pros shipping and third parties to fill the gap. Late last year, mostly tiny companies started releasing Mini-DisplayPort to USB-C adapters, some of which were made in such small quantities they were immediately backordered on Amazon. As January approached, more adapters appeared in greater variety, and seemingly in greater quantities, too. I searched across Amazon, product manufacturers’ sites, and other retailers for potential adapters, read reviews, and settled on four adapters to test. A fifth is backordered into February, and I’ll test it when it is available and update this story. Some of the adapters tested go in and out of stock rapidly, which is why I provide a few alternatives. To cut to the chase, the clear winner on features is the UPTab USB-C to Mini-DisplayPort adapter ($35). Its secret weapon? A pass-through USB-C power jack. For a less-expensive option without power passthrough, useful for the MacBook Pro, pick the Itanda USB-C to Mini-DisplayPort adapter ($20). If you’re looking for a full-scale USB-C dock, you can’t currently do better than the CalDigit USB-C Dock ($150; available on Amazon). I discuss it below and in a separate review, but it has both HDMI and full-sized DisplayPort jacks, and requires just a sub-$10 Mini-DisplayPort female to full-sized DisplayPort male adapter to work with an LED Cinema Display. Not everything works perfectly over USB-C in macOS 10.12 Sierra with the Apple LED Cinema Display, but it’s a pretty close match. I tested on a 27-inch model. The only glitch seems to be a small line of missing pixels in the upper right corner of the display when connected through the CalDigit dock, but that’s nearly unnoticeable. The missing piece, however, is brightness and USB 2.0 data passthrough. I didn’t find the default brightness level distracting or glaring, but that’s a very individual judgement. You need to use a USB-C to Type-A adapter to connect the monitor’s USB Type-A plug, and then you can control brightness via a keyboard, Touch Bar, or Displays system preference pane, as well as plug in a keyboard, mouse, and other low-data-speed devices. Plugging in USB also enables a built-in iSight (640x480 pixel resolution) camera and microphone, which are redundant to a Mac laptop’s mic and FaceTime support. For a MacBook Pro, using USB 2.0 means giving up two ports to get brightness and other features: one for the Mini-DisplayPort adapter and one to connect a USB plug. However, if you’re using a USB-C hub or dock with multiple Type-A ports, that can take care of that problem. On a MacBook, however, you’ve just got the one port, so you won’t be able to control brightness without using a dock. I tested the CalDigit USB-C Dock and because it has a DisplayPort jack, it seemed like the right pairing for a MacBook, with which it worked perfectly. I found four distinct options that worked perfectly well on both a 2015 MacBook and a 2016 MacBook Pro with Touch Bar. UPTab’s USB-C to female Mini-DisplayPort adapter with pass-through USB-C power. UPTab USB-C to Mini-DisplayPort adapter. This UPTab adapter has great advantage of supporting pass-through USB-C power. It’s attractively made and seems solidly constructed. The $35 price tag may seem excessive compared to adapters and cables that cost $10 to $15, but the engineering and components for power pass-through of the wattage level used to charge a Mac laptop comes with a cost. For a MacBook owner, the power port is supremely useful, letting you use the adapter without draining power. However, with the laptop’s single USB-C jack in use, you’re stuck if you need to connect other USB devices, like a wired keyboard or mouse, an external drive, or SD Card reader. Itanda’s USB-C to female Mini-DisplayPort adapter. Itanda Type-C adapter. The robustly made, attractive, $20 Itanda is probably the best choice for a MacBook Pro owner. It’s inexpensive and occupies a port compactly. Cable Matters DisplayPort to Mini-DisplayPort Male to Female Adapter. StarTech's female Mini-DisplayPort to male DisplayPort adapter. A pair of adapters. If a direct adapter, like the Itanda, isn’t available and you want an alternative that works just as well in my testing, you can pair two adapters. I tried both the Cable Matters DisplayPort to Mini-DisplayPort Male to Female Adapter ($9) and the StarTech DisplayPort to Mini-DisplayPort adapter ($6.50) with the Benfei USB-C to DisplayPort 4K Adapter ($15 when I purchased it). The Cable Matters and StarTech adapters both accept the male Mini-DisplayPort connector from the Apple display, and have a male full-sized DisplayPort plug. That plugs into the Benfei’s female DisplayPort jack, and then the Benfei plugs into a MacBook or MacBook Pro via USB-C.
At $21.50 or $24 together, both are more expensive than the Itanda, but I had no trouble getting the same crisp performance and support. Some readers tried more complicated options, involving a female-to-female inline Mini-DisplayPort adapter, but given the two-adapter option, that’s no longer necessary. CalDigit USB-C Dock. Paired with a DisplayPort to Mini-DisplayPort Male to Female Adapter (either the Cable Matters or StarTech noted above), the $150 CalDigit dock’s DisplayPort jack offers full compatibility. That price tag is high for just plugging in an Apple LED Cinema Display, but the dock is one of the best and most fully featured you can purchase, and offers the right solution for a MacBook or MacBook Pro. You can read my separate full review. Why not HDMI? You might ask why I didn’t try some kind of HDMI situation, where I converted Mini-DisplayPort to an HDMI plug or adapter jack, and then plugged that into the HDMI port available in several USB-C docks. I tried a few variations of this, and it didn’t work, although others have had different luck. DisplayPort is a video standard that works over its own proprietary connector styles (DisplayPort and Mini-DisplayPort), and can be embedded as a data standard inside of Thunderbolt 2, Thunderbolt 3, and USB-C. Although DisplayPort can also be routed via an HDMI cable—HDMI being its own set of standards—it doesn’t seem to survive the passage with multiple adapters and an Apple LED Cinema Display. The only reason to want this option is if you have a dock without a spare USB-C data port that might allow DisplayPort passage and that has an HDMI jack. These options are affordable, but sometimes unavailable, whether due to high demand or short supply. We’ll be updating this article with new adapters as necessary, but based on testing, any of the above options should be all you need for the life of the monitor to connect it via USB-C.